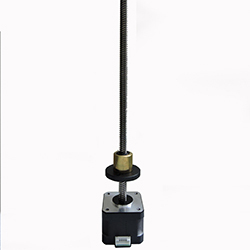 Now give extreme precision to your 3d printer z axis or add precision to your other linear motion projects. We are the first in India to bring these awesome Linear Motors for you. Integrated 4 pin connector with 80 cm enclosed wire.